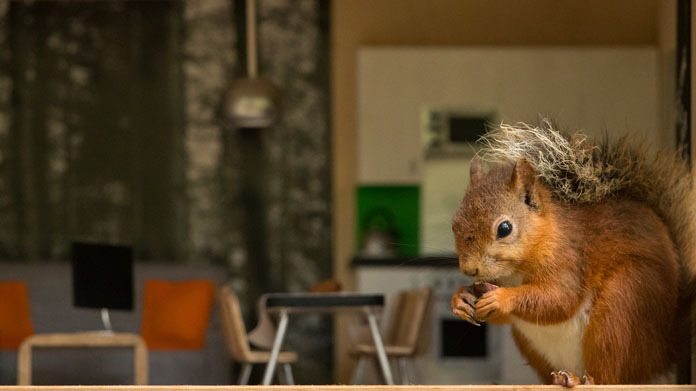 We’ve been going nuts this week by revealing Center Parcs’ brand new accommodation … lodges for red squirrels. Inspired by the famous Woodland Lodge properties, miniature versions (complete with identical furnishings) are now nestled within the forest (which is a red squirrel refuge for the declining species). A patient wildlife photographer, who spent two days camped out in front of the lodge, caught cracking photography and video of the little fellas enjoying their new surroundings. These were swiftly packaged up and sent to the media, alongside a spot of consumer research which showed that red squirrels are becoming a rarer sight for Britons than feared. So much so, one in five children think that they are actually fictional. We cracked the coverage with pieces appearing in the Daily Mail, Scottish Daily Mail, Sunday Mirror, Daily Mail Online (twice), First News (in print and online), BT, MSN and a whole host of regionals. All in all, we truly drove the media nuts!